I know i venting here, but i needed to post this so someone other then a computer would read it. I have no idea if anyone as unhappy as i am with this but i sure am. I originally purchased my PSP system during launch v.PSP1001 and have used it and been have happy with it all this time thru the numerous systems software upgrades that have added additional software functionality to my system allowing me to further enhance the unit singnificantly. However; over his past week, i have been trying to install Skype onto my init after seeing many of my friends and colleges using the software on their units. To my complete disatisfaction and shock, Skype and a number of functionality is not available to version 1000 systems. The launch systems. The system that i have is version # 1001. Skype and many other ‘enhanced’ software upgrades, are available on system hardware version # 2000 / 3000 (the newer, slimmer, cheaper, better) version of the PSP but not on the version #1000 (the original, more expensive, thicker, early adopter, Sony loyal) users such as myself. I must say that i find this very disturbing, and borderline insulting specially as a user who did dish out near $300 for the original unit (with tax) on launch day. 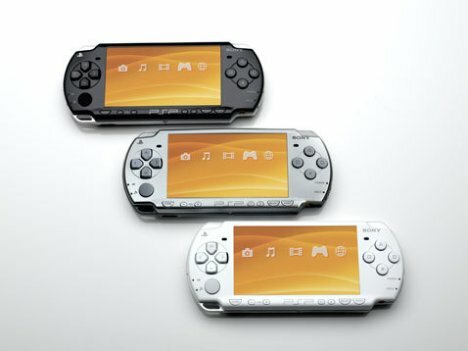 Only to find that the newer, cheaper unit, ($199) is so much better is Sony has completely neglected the original user base who made the PSP what it is today by spending so much money on the system, by trusting in Sony Corporation and it’s products and now being left, forgotten, made obsolete with a system that still is not! How insulting it is that NO effort was made to make the original v1000 hardware system fully compatible with all other software that has come since is truly an abomination and a kick to the face of all those users who trusted in Sony Corporation. I am dismayed that my unit is not functional as all other units are even as it stands in perfectly working order. You should make all units fully compatible with everything immediately, or exchange v1000 hardware version to support you own current standers. I am sure not to even get a response to this, but i voice my opinion… and you KNOW that theres ONE customer who is NOT a happy customer with you today. You may contact me if you would like. You can use the email on the top of this blog, i will be sure to get it. The SOLAQUA by designer Jason Lam is a concept for a passive way to purify water using both heat and UV rays (so, in other words, leaving water out in the sun). Each petal that extends from the main unit — which folds up as to be easy to carry — contains several 10 liter, clear tubes of water that’ll have the water inside entirely and thoroughly bombarded by the sun. Filling the tubes up is easy, as SOLAQUA automatically funnels it down into them, rather than making someone fill the bottles one by one. Boiling water is one of the easiest methods of disinfecting the liquid, though a filter needs to be used to get out any solid pollutants — which is why the SOLAQUA includes a built-in filter of sari cloth — but the water doesn’t even have to be all that hot if it’s going to sit out for a while. Boiling just speeds things up. UV rays, as well, are popular for purifying, and the petals of the SOLAQUA would direct them straight through the bottles. Check out the pictures below for more of the SOLAQUA. Now that the Amazon Kindle is a huge hit, it’s time for upstart Interead to sashay in with its multi-hued $250 Cool-er. The target date for the launch is just before Memorial Day, with the new reader officially available in all eight colors on May 29. Scales don’t lie, but stepping on one doesn’t tell you the whole truth about the condition of your body. For a more accurate assessment, you’ll need this Body Check Ball to demonstrate to you in no uncertain terms the wages of your slothful sins. Hold it in both hands, and it sends a weak current through you, measuring body fat, bone density and percentage of muscle. Then you can read ’em and weep on its LCD screen, tracking your progress — or lack thereof — from day to day. Is this one of those devices that gives you too much information? Depending on your degree of fitness, that knowledge could be $39 worth of bragging rights or shame. The age of mobile museums and public pavilions continues to be pushed forward by futuristic designer Zaha Hadid. For an upcoming ecology-focused exhibit in Chicago’s Millennium Park, the London-based designer created a seashell-meets-spacecraft design that would be right at home in the 24th century. Constructed using light-weight aluminum, the structure uses fabric for its walls and allows light in from all angles. Dubbed The Hadid Pavilion, the design will be on display from June 19 through October 31, and you can find more information here.